It’s been awhile since we’ve had a giveaway. So let’s do one really quick, shall we? Love my sponsor the Fat Quarter Shop! This site is AWESOME for purchasing fabric. They have a great selection and you can find all the cute Moda fabrics there (which are difficult to find elsewhere!) 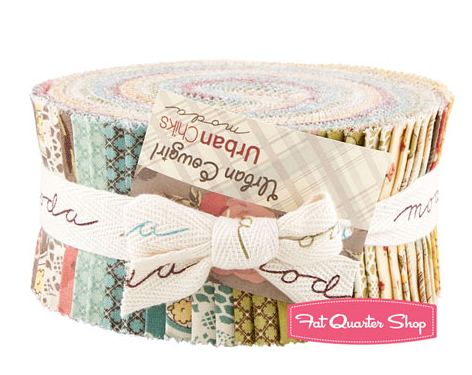 Today they are giving away this super cute jelly roll of Urban Cowgirl! Visit The Fat Quarter Shop and tell me one thing you are going to make this year! For an extra entry you can like Fat Quarter Shop on FB! I love the Mockernut! I will make a quilt this year! would love love love to win this giveaway – i’m now officially TOTALLY getting addicted to sewing and have a jellyroll quilt on my TO DO list! 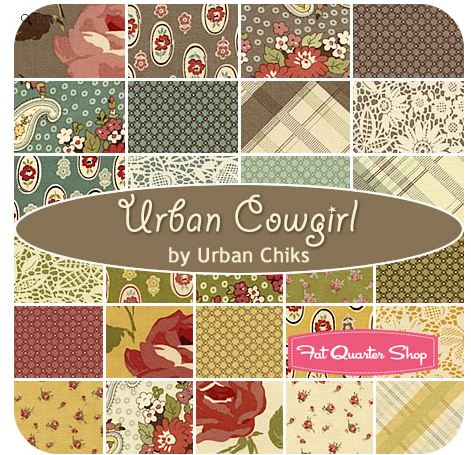 love this urban cowgirl collection! this would PUSH me to get going on it! 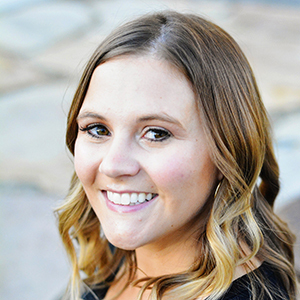 thank you so much for hostessing! I’d love to make a 4th of July table runner from Blue Hill Fabrics’ Old Glory line! Or maybe a picnic quilt. I love the FQS! This year I am going to make my daughter a quilt for her bed. For real. I’ve had the fabric for two years. It’s time to get it done! My best friend is expecting a baby girl in May, so | have already begun sewing tiny dresses like mad! I will be sewing plenty more of them this year. I know I want to use Urban Cowgirl and the Michael Miller Weekend Clubhouse for some summery outfits. I already like FQ Fabrics on FB. I’ve got 3 baby quilts on my todo list-one w/ Michael Miller, one w/ Riley Blake, and one undecided! I like the FQS on FB. So much nice stuff there! I think I am going to make a quilt for my little one with “A Walk in the Woods” — such cute fabric. And ’cause I hate cutting, the precuts are looking pretty good to me. i will be making three baby quilts and im so excited i love when i actually finish my projects i have completely finished already!!!!! im also a fan of FQS on facebooko!!! I’m thinking I’m going to use some of the Redwork Renaissance for a quilt for my mom. I’m going to try a quilt block a month for 2012 using a “Sassy” charm pack. I’m new to quilting but hopefully this time next year I’ll have a completed quilt made. Oh I LOVE this jelly roll. We’re moving to Texas soon so this would be perfect to make a throw for a couch or chair. I have a throw on my list, duvets for my older kids and more pillow covers. Along with 100 other things of course. 😉 Thank you! I plan to make my first puff quilt for my baby girl. Then I would like to make some for bday presents for a few babies turning 1 this year! I would love to make a quilt this year. I have never made one and I think it’s time to learn! Hi There! I don’t even know how to quilt but I’m signed up for a class at Joann’s this month. 🙂 I’ve been planning on making a picture quilt for my mother in law with pics of the grandkids. Also, I just ‘liked’ them on facebook! 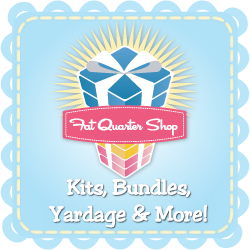 Love, love, love Fat Quarter Shop! I’m making small pillows and crayon/paper holders for a Children’s Hospital. And for World of Charity Stitching I will be making quilt tops, totes, walker bags and more! Love to sew for charity! This jelly roll would make a wonderful quilt top! I like Fat Quarter Shop on FB. I already ‘like’ Fat Quarter Shop on FB. And you too! OMG! That fabric is gorgeous!! I like to make Tea Bag Wallets and sell them in my etsy shop, so I plan on making a lot of those this year :). I signed up to do the designer mystery block of the month quilt using Vintage Modern. I have never participated in a BOM program, so I am really excited! I like Fat Quarter Shop on facebook already!!! I like FQ Shop on facebook already! My first project this year is going to be a couple of pesant dresses for my girls. Once that’s done, I think it might be time to tackle my first quilt. I love the Thimble Stitch Organic fabrics! I’m going to make a quilt with that awesome cowgirl line for my daughter. Oh I’d totally use that jelly roll to make a throw quilt for my couch (and give my son back his). I also like the advent calendar quilt idea…I need to make one of those this year as well. I “am” making 3 different quilts for my 3 grandbabies!!! So excited and such a hefty endeavor for a beginner!!! I love that line! I would love to make a quilt for my daughter. I want to make my first ever quilt this year! I love the look of Beveled Beauty quilt kit and the Aqua Lollipop Shoppe quilt kit but I should probably start with something more basic/beginner-ish. I would love to make my daughter a quilt with “a walk in the woods” jelly roll! I already like Fat Quarter Shop on Facebook. I think I might have to try the Miranda Day Bag – so cute! I love The Sassy prints. I love using the bundles for odd projects. I have no clue what I’d use it for, but it’s so cute. I am going to buy Flea Market Fancy when it’s available and make the Japanese X Block quilt that’s all over blogland. I am going to be making a wedding quilt for this spring. I better get moving!!! I liked them on fb and even shared both of your sites… Yeah! I liked the page on FB. If I win, I will make some doll quilts! I want to make one of the Dr. suess quilts! I’m already a fan of FQR on Facebook, love them! The Countdown to Christmas quilt is really tempting me – really want to make a quilt. I plan to make my cousin a baby quilt this summer for her first baby. Urban Cowgirl would be perfect! i’m going to make crayon note pad holders for my kids! And there are so many fabric choices at FQS…probably use some cute dr suess fabric! I’ve been eyeing this collection for my sister in law who is having a baby in March. She’s a true cowgirl and I would love to make a little something for her since I’m already making so much for the baby 🙂 Also this year I’ll be making baby bedding and all kinds of things for my own baby due in August. I’m planning to make nursery bedding and curtains for my baby who’d due in May! I love all the fabrics to choose from at The Fat Quarter! This year I want to make an ombre quit! That would be sooo cute! I will be making the 2011 Designer Block of the Month quilt this year! Love FQS!!! So cute! I would make a quilt for my sister/cowgirl. I have so much I want to make this year! Quilts, skirts, curtains; seriously so much! I’ve been looking for just the right fabric to try your puff quilt pattern on, still looking! Fat quarter shop is an excellent start! Thanks for sharing! Of course I liked them, I love them! I visited the FQS and would like to make a quilt this year. LOVE the Jelly Roll! i hope to finally make the lap quilt i have been planning for my in-laws for over 2 years. I will head over to fb now to make sure I ‘like’ fqs on fb! Congrats on your baby girl. She is a beauty. I love your website and just subscribed to the feedon my playbook. How wonderful! This is no coincidence! I just signed up for a quilting class–my first–with the intention of using this fabric to make the quilt. I love the urban cowgirl! I “like” FQ Shop on Facebook. Thanks for the giveaway! I’ll be making a table runner for our dining room table! I would love to make the Bedazzled quilt – love the design and colours!! I’ll be making a few quilts this year, along with new baby things for June! I’m going to make some bedding for my new baby girl. I’m making my son a quilt right now. I’m going to try to make the puff quilt. I like the cakes! I am constantly making baby quilts for all of the people having babies, and I LOVE using fat quarters! I would make one of their Dr. Seuss quilts. I love the fabric line!! I just finished making a bag that has a changeable outer “skirt” – I’d love to pick up some more fabric in bright colors and patterns to make some more skirts! I want to make a quilt for my friend’s baby boy this year. I don’t know if it is going to happen. I am planning on making a new quilt and bed set for my daughter. She has grown out of her crib. Time for a room makeover. I would love to make a quilt this year! I just got a sewing machine for Christmas and I love it already! I love the Fat Quarter shop! Such beautiful fabrics. I plan on making my grands an I Spy quilt. I’ve been searching for cute patterns suitable for this. I love the FQS. Oh I want to make headbands and Business card holders!! Oh to find the time!!!LOL!! I have a couple quilts in the plan so far. I will also be making baby stuff for my baby coming as well as the 3 others joining the family as well. I will be making my little man’s blessing outfit. Half done, actually. 🙂 I will also be making him a quilt because the one I made while I was pregnant does not fit him AT ALL. So I’ve got one already in the works for him… well, in the works in my head, but I have half the fabric already (working from what stash I have). I am currently in the process of growing a baby…my biggest project yet! I am redesigning the girl’s room. They are both horse crazy and I want to make them quilts with a horse inspired theme. I love the Urban Cowgirls colors. I love the Anchors Away Fat Quarter Bundle. I would love to make some handkerchiefs (pretty plain and simple, I know; I’m just getting started on sewing). I vsited Fat Quarter Shop– love browsing their shop! I would love to make the Good Morning quilt by Holly Holderman! It is so pretty and yet I think it would be fairly simple to make!! 🙂 I’d LOVE to be the lucky winner of the Urban Cowgirl jelly roll!! Cute fabric!! I am making a quilt now but would sure like to make another with this jelly roll. I would like to make Peppermint Pizazz this year. This year I am planing on making a super cute little girl quilt, I am thinking with Riley Blake Indian summer line. I like FQS on FB, Thanks! My best friend is having a baby so I want to make a bunch of bibs, burp cloths, etc with the get together fabric by David Walker. The prints are so cute! I would love to make a Beveled Beauty quilt this year. I have ordered from FQS many times and think it is a super online shop. I would love to make the perfect school bag…for ME! I want to make a quilt this year, but most likely I will play it safe and make a bag. I have to make coordinating quilts for my sister’s upcoming twins! I love this line. I will make a pillow cover for my room.. Thanks. I’m a FQS FB fan. I need(!) these fabrics to make two new pillowcases and a bag! Also, I “liked” the Fat Quarter Shop on Facebook. Cheers! Love the Urban Cowgirl featured here, like the best of British (being from there…..) trying to work out what I’d do with it. Really looking for some teal and purple for my daughters quilt…. I AM going to sew this year! I would love to make a little quilt or something out of those fabrics in the jelly roll. I love paisleys! I plan on making some dresses for my daughter this year, for the first time since my FMS is under control since her birth!!! This is amazing 🙂 I would love to use the Heart Garden by Robin Zingone for Robert Kaufman, I just love the big flower print- so cute!!!! I really want to make a dress for myself this year. Thanks for the chance to win! I’m going to be making some fabulous bags this year. I really like that Sunny Lush fabric. I want to be able to successfully make a full quilt or something for my home. I am old(ish) to sewing, new to quilting. I am so excited to make super cute headbands and bows with this fabric! Urban Cowgirls 🙂 know how to have fun! Kick up your heels and say YEE HAW! I am going to make myself a toiletry/make up bag soon! I’ll be making a quilt for my youngest grandson from flannel squares and a light denim backing. I want to make my boys each a quilt this year. I intend on sewing a cute tote bag and headband with the jelly roll! Thank you for the chance in the giveaway! From your previous post, I already checked the Fat Quarter store out! I started my wish list from this store a few days back. I’m not very good at making quilts, but I have made a rag quilt before. I wanted to get a jelly roll and make a rag quilt out of different strip lengths, for my husbans’s grandmother for her birthday! She would be tickled PINK to get a handmade item. I have to say I LOVE all the moda fabric collections, it’s really har to pick just one favorite!